We were married at Simple Pleasures on 12-29-16.  Everyone at Simple Pleasures went above and beyond to make our wedding vision come true. Tara was so reassuring and communicative throughout our 17-month engagement. She was on top of planning and organizing leading up to (and during) the wedding! She almost always responded to texts or calls within 15-30 minutes. Every detail was perfectly orchestrated and 100% on time, down to the minute! Tara, Ken, and Elaine all worked together to come up with a backup plan when it appeared that our caterer had bailed on us on the day of our wedding. Tara is so good that neither my husband nor I knew anything was wrong! Simple Pleasures is such a wonderful venue; it’s unique, beautiful, has wonderful staff, and offers a huge bang for your buck! We are so incredibly thankful for everyone at Simple Pleasures! The venue is GORGEOUS! It is unique and fun and so beautiful! My friend Hayley was married here and I was floored. The grounds are breath taking and the Bridal suite was to die for. The staff was accommodating and beyond helpful! They were so fun and sweet! This place seriously rocks. I want to say this is an AWESOME place!! I want to give a big “thank you to” Tara for all her help. She made things go so smoothly! I’d also like to thank the owners for cooking all that good food. Thanks again for everything! We went for a wedding reception and we were blown away with this unique venue. It is not just the vintage appeal and surroundings, but the food, the customer service, the attention to detail and the genuine warmth shown. The owner was involved in everything and was so kind to everyone. I can’t wait to come back on just a tour and see everything this property has to offer! My fiance, Tedd Newton and I just booked our wedding reception at Simple Pleasures and I can’t tell you how excited we are!! Tara and Ken are awesome to work with and I know without a doubt that they are going to help make this a day to remember! Now I don’t know if I can ever put into words how thankful I am for the staff and the owners for this beautiful venue! I’m the type of person who always feels she has to be in control of everything (like if I don’t do it myself it may not be done right) but the staff and everyone did wonderfully, especially Tara! Thank you so much Tara for letting everything run so smoothly! Everyone loved the venue and the cars, and everyone had a wonderful time! Thank you again! We held our wedding and reception at Simple Pleasures in November 2016. The staff was truly amazing and the venue was even more magical. We had looked at several locations before visitng Simple Pleasures, but when we stepped into Ken and Elaine’s ice cream parlor, we instantly knew that this was a perfect place for us! Most of our guests were from out of state, including the bride and groom. We wanted everyone to feel relaxed and enjoy themselves when they arrived. And did they ever! They LOVED IT, we LOVED IT and it turned out to be one of the most special days in our lives. A BIG thank you to Ken, Elaine, and Miss Tara for making this day perfect! Oh where to begin?! I don’t think I can express in words how grateful I am to Tara, Ken, and the staff of Simple Pleasures. Tara was amazing the entire time my (now husband) and I did business with her. She was always super easy to get ahold of about any questions I had, and made sure that our big day went as perfectly and smoothly as possible!! And it was! Tara definitely takes pride in what she does and loves her brides! We couldn’t of asked for a better wedding coordinator, or a better facility for our wedding! All of our guests LOVED everything about the place, and had a fabulous time!! Thank you so much to Tara and the staff for making our day as special and as perfect as it was! We won’t ever be able to thank you enough!